Youth Team Tennis In Your Neighborhood and School! Learn to love the game! Time to get your game face on! Sign up for ABQ Deals & Reminders! FAQ: Is it okay if we miss a match/practice during the season? Answer: Yes! 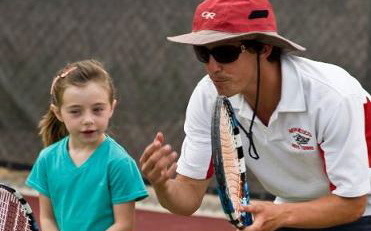 ANTS Tennis is the "little league" of tennis for kids in Albuquerque. We organize neighborhood-based tennis teams that practice and play! We are focused on learning and playing in a fun and healthy environment. Four Different Age Groups: 6 & Under Red Ball, 8 & Under Red ball, 10/12 & Under Orange Ball, and 12 Advanced Green Ball. Tons of fun! All coaches go through the ANTS Coaches Training! ANTS is focused on your child practicing, playing, improving, and having fun! Our philosophy is to have all kids practice, play, & always improve. Play and Practice on a Team, and still develop your individual skills. Availability of Practice Locations, Days, and Times are listed and shown on our ABQ map below. *Team must be filled with at least 8 kids to be part of the ANTS League. Recruit friends and classmates to join the same team to help ensure your spot! 6 year old tennis in abq, 7 year old tennis in abq, 8 year old tennis in abq, 9 year old tennis in abq, 10 year old in tennis in abq, 11 year old tennis in abq and 12 year old tennis in abq. We service the following ages in Albuquerque and love what we do! ANTS Tennis - All Levels Can Play! Play on appropriately sized courts and with modified equipment that has been adopted by the USTA and is meant for better success! Racquet is provided & is yours to keep! ANTS has everyone practice and everyone play. You get to play against someone who is your ability, as teams match players strengths 1-8 during team matches! It is a win-win situation. Team environment and individual development! @ Aztec Park - Mondays - 5 p.m.
@ Eagle Ranch (westside) - Tuesdays - 5 p.m.
@ Sister Cities - Mondays - 5 p.m.
@ Wellesley - Fridays - 5 p.m.
ANTS Youth Team Tennis in your neighborhood. Time for some fun! Focused on FUNdamentals, and learning how to play the game of tennis. Agility, Balance, and Coordination of the athlete is developed in various fashions. Register & To The Courts! @ Wellesley - Fridays- 5 p.m.
ANTS Youth Team Tennis in your neighborhood. Intermediate: Focused on techniques and tactics, while still having fun! Lots of positive competition. @ Aztec Park Beginner - Mondays - 6 p.m.
@ Aztec Park Intermediate - Mondays - 6 p.m.
@ Eagle Ranch (westside) - Tuesdays - 6 p.m.
@ Onate Park - Tuesdays - 6 p.m.
@ Sister Cities - Wednesdays - 6 p.m.
@ Wellesley Park Beginner- Friday - 6 p.m.
@ Ventana Ranch Beginner (westside) - Wednesday 6 p.m.
Ventana Ranch Intermediate (westside) - Wednesday 6 p.m.
ANTS Youth Team Tennis in your neighborhood! For Current Status and Updates! If spots have filled up, please get on our waiting list below! Get on that waiting list! ANTS Tennis will be sending out periodical newsletters keeping you updated! Thanks for getting on our waiting list! We cannot wait for the next season! *ANTS Tennis is helping promote Albuquerque kid tennis, Albuquerque youth tennis, Albuquerque junior tennis, Albuquerque team tennis, and Albuquerque kids tennis, all in your neighborhood. Help us grow tennis in Albuquerque by sharing our name! Americas' Next Tennis Stars (ANTS Tennis) is revolutionizing when and where youth tennis is being played! Search for a tennis program in your neighborhood and let's get out on the courts! NEED HELP? SIMPLY FILL OUT THE FORM BELOW! We aim to respond within 24hrs! Thank you for reaching out to ANTS Tennis! We aim to respond within 24 hours! We look forward to getting in touch with you and seeing your child out on the ANTS tennis courts! Interested in Camps, Leagues, or School Programs? Copyright 2016 America's Next Tennis Stars (ANTS). All rights Reserved.